Motorola MC2100 - MC2180 Wireless Mobile Computer (Laser Kit, Eng Power supply, Cradle, USB). Interface Cables And Charging Cradle Sold Separately. 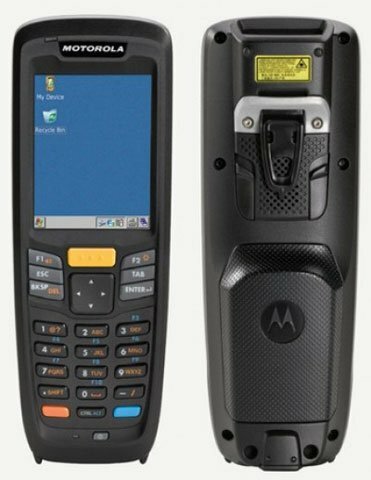 From the sales floor to the backroom, the Motorola MC2180 mobile computer has what it takes to affordably automate the capture of inventory data right at the point of work. Paper-based forms that need to be transcribed and manually entered into the computer are eliminated, reducing keying errors and improving productivity, workers can handle more tasks per day. With the value-priced MC2180, you get the features you need to get the job done. You can count on plenty of processing power, rugged design, superior ergonomics, flexible data capture options, enterprise-grade push-to-talk (PTT), plus centralized management. And support for Motorola"s RhoElements application development platform allows you to create cross-platform applications that work on different mobile computers with different operating systems. MC2100 Single Slot USB Cradle. This Cradle Provides USB Communication With A Host Computer and Charges The MC2100 Series Mobile Computer. Includes power supply, USB cable, and AC power cord. MC2100 Single Slot USB Cradle. This Cradle Provides USB Communication With A Host Computer and Charges The MC2100 Series Mobile Computer. Requires (Part# Pwrs-14000-249r) Power supply, (Part# 25-128458-01r) USB Cable and (Part# 50-16000-182r) Two-Wire Ungrounded AC Power cord, All of Which Must Be Purchased Separately. 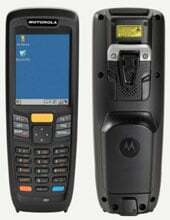 The Motorola K-MC2180-MS01E-CRD is also known as MOT-KMC2180MS01ECRD	or KMC2180MS01ECRD	.